West Brook Wines are proudly produced by the Ivicevich family, who've been making fine wine for over 100 years. First in the old country, Croatia, where great, great grandfather Ante Ivicevich began in the late 1800's and then in New Zealand when his son Mick Ivicevich planted a vineyard in 1935 with his son Tony. The tradition continues with Anthony and Susan and their son Linton at their Waimauku vineyard and winery with an outstanding range of multiple award winning wines. Charismatic winemaker James Rowan overseas the day to day winery operations. 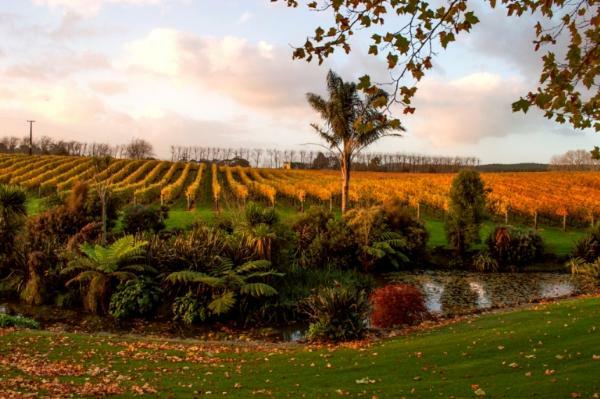 Join us at our picturesque Ararimu Valley cellar door, enjoy some of New Zealand's finest wines all the while taking in the serene, park-like setting that is West Brook Winery and vineyard in the heart of Waimauku. Let us share our passion for making fine New Zealand wine with you, come experience the "Wai-magical" welcome at West Brook.